PTM Corporation is a full service stamping facility capable of running progressive dies, fourslide and compound dies. From concept to production, our design team works closely with your engineers to develop the best part for fit and function. 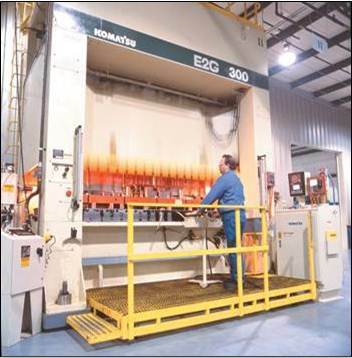 We find the most cost effective way to produce your part with minimal scrap and tooling cost. We are capable of designing, building and running progressive dies any size up to 144″ in length. Tonnage range from 60 to 600 for high volume production. Up to 2000 ton for low volume production (<5000 pieces).